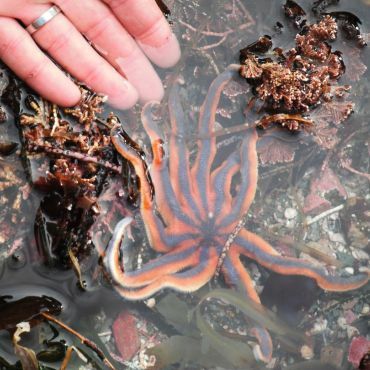 Sea Otters, Whales & Rich Coastal Ecology - Living at a Wild Aquarium! This is the wild west coast of British Columbia at its finest - an abundant ecosystem that is re-balancing with sea otters at the helm. 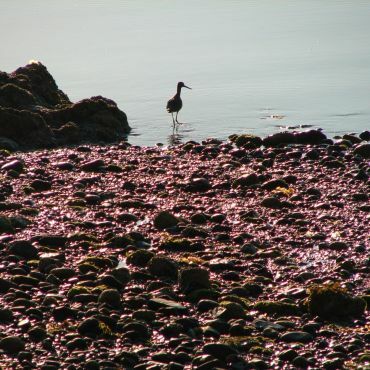 Our base camp is beside British Columbia's largest marine protected area, Checleset Bay Ecological Reserve. Become introduced to charismatic sea otters wrapped in kelp...when they're otherwise not grooming or feeding like biological hoovers! The sea otters' story links together all elements of this diverse ecosystem and cultural setting, including the salmon, whales, wolves, and black bears that you might view from your kayak during our (and their) everyday rhythms. 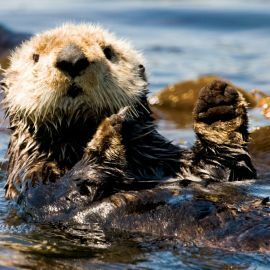 For those interested, here is some of the research tracking the sea otters' influence on this west coast ecosystem. 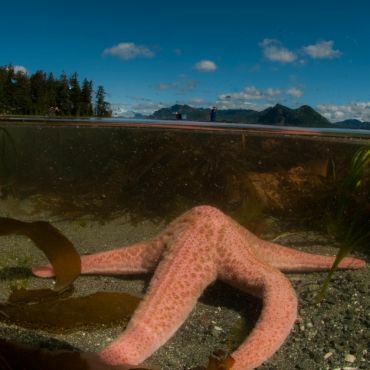 Let us bring some marine biology to life, sharing the connections between bizarre creatures in colourful tide pools, or tempting you to kiss a critter found amidst the lush layers of magnificent old growth coastal rainforest. 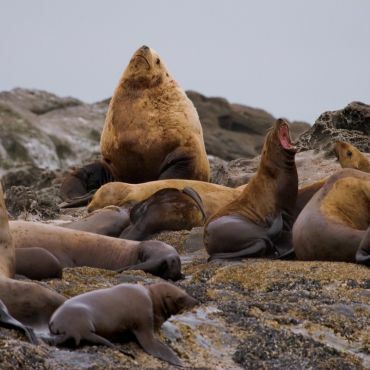 Enjoy the symphony and sight of varied marine and forest birds, and imagine life in the cold Pacific as fur and fat laden mammals pass us on the water. 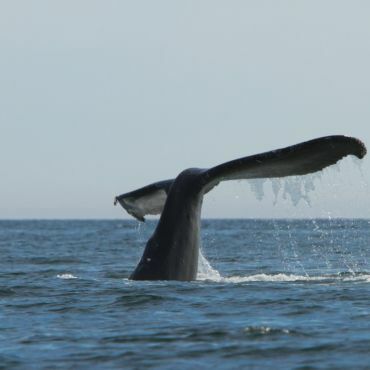 Kayaking with whales is also possible depending on ocean temperatures and where the smaller fish are feeding. 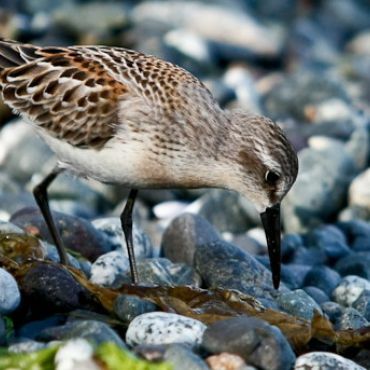 Each day of every season offers different wildlife viewing experiences as part of your Vancouver Island adventure with West Coast Expeditions.